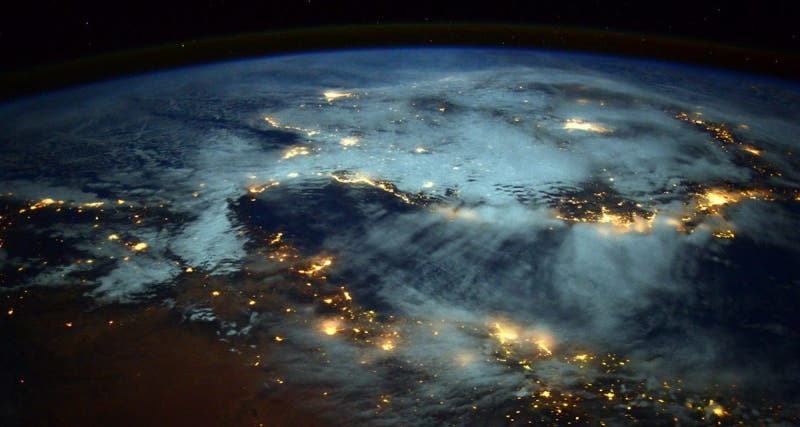 December 11, 2017: Today's links to headline stories from around the world on the threats, opportunities, and dangers facing our fragile planet –along with an occasional dash of humor, popular culture, and an intriguing conspiracy theory or two. Coverage includes the Planet 9 Enigma, the New Testament as Tao, Volcanoes of New England, the Longest-Living Vertebrate on Earth, Sidewalk Robots of San Francisco, and Greenland's Monster Heat Wave. Russian billionaire Yuri Milner says if the space rock 'Oumuamua is giving off radio signals, his team will be able to detect them—and they may get the results within days. The email about “a most peculiar object” in the solar system arrived in Yuri Milner’s inbox last week. Milner, the Russian billionaire behind Breakthrough Listen, a $100 million search for intelligent extraterrestrial life, had already heard about the peculiar object. ‘Oumuamua barreled into view in October, the first interstellar object seen in our solar system. Astronomers around the world chased after the mysterious space rock with their telescopes, collecting as much data as they could as it sped away. Their observations revealed a truly unusual object with puzzling properties. Scientists have long predicted an interstellar visitor would someday coast into our corner of the universe, but not something like this. A day later, Milner’s assistant summoned Loeb to Milner’s home in Palo Alto. 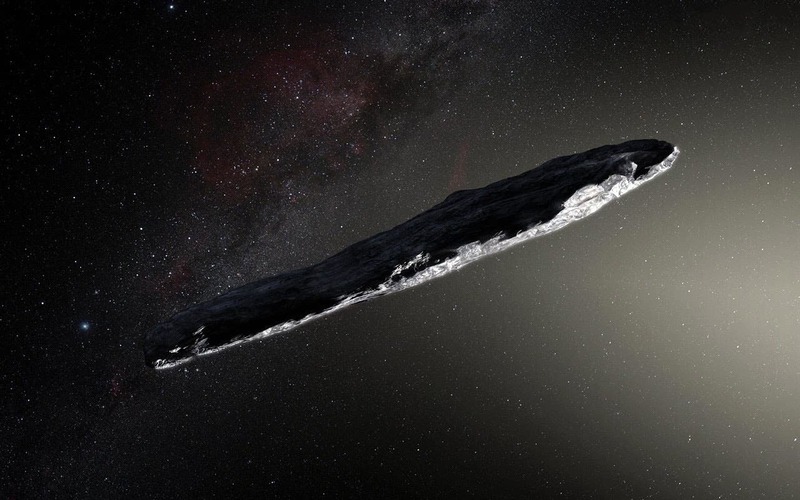 They met there this past Saturday to talk about ‘Oumuamua, a Hawaiian word for “messenger.” Loeb ran through the space rock’s peculiarities, particularly its elongated shape, like a cigar or needle—an odd shape for a common space rock, but ideal for a ship cruising through interstellar space. Breakthrough Listen announced Monday that the program will start checking ‘Oumuamua this week for signs of radio signals using the Green Bank Telescope in West Virginia. The interstellar asteroid is now about twice the distance between the Earth and the sun from our planet, moving at a brisk clip of 38.3 kilometers per second. At this close distance, Green Bank can detect the faintest frequencies. It would take the telescope less than a minute to pick up something as faint as the radio waves from a cellphone. If ‘Oumuamua is sending signals, we’ll hear them. The chance of an alien detection is, as always, small. But it’s not zero. And Milner thinks we should check—just in case—before ‘Oumuamua is gone for good. The object will pass the orbit of Jupiter next year, and by the 2020s will be hurtling beyond Pluto. “Whether it’s artificial or not, we will definitely know more about this object,” Milner told me, in a video interview last week. If you could travel back in time 41,000 years to the last ice age, your compass would point south instead of north. That’s because for a period of a few hundred years, the Earth’s magnetic field was reversed. Magnetic reversals have happened repeatedly over the planet’s history, sometimes lasting hundreds of thousands of years. 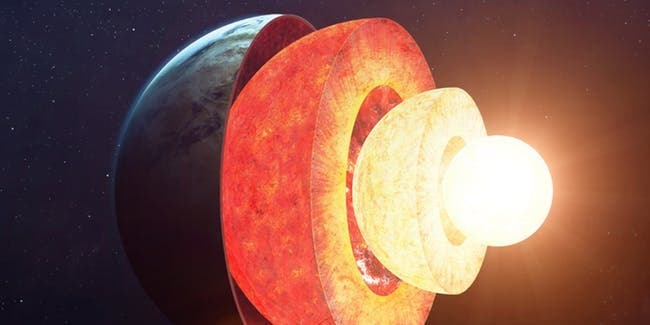 We know this from the way it affects the alignment of magnetic minerals, that we can now study on the Earth’s surface. Are octopuses so clever because they ignore their genetic programming? 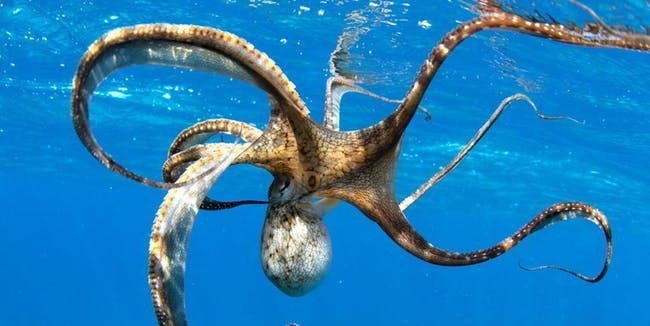 Research has shown that octopuses and other cephalopods edit the messages sent from their DNA instead of following them almost exactly like most living things usually do. 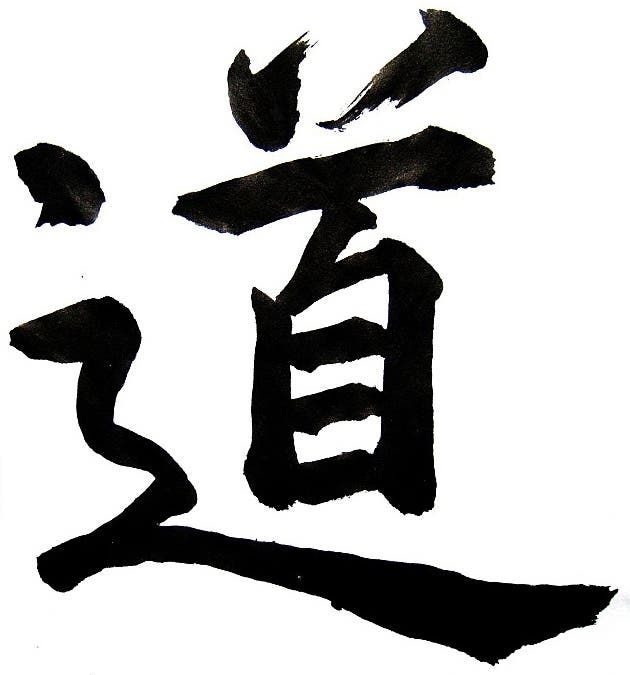 Previously, scientists thought this process of molecular Chinese whispers was largely insignificant in animal evolution. But a new study published in the journal Cell shows this is certainly not true for these tentacled ocean dwellers. It suggests that genetic editing may directly contribute to cephalopods’ remarkable intelligence, which enables them to solve complicated puzzles and visually communicate by changing their skin colour, making them the smartest of all invertebrates. However, the ability to alter genetic messages may come at a price, potentially reducing other more common forms of adaptive evolution. A year and a half after it was proposed, astronomers are still debating whether the giant mystery planet actually exists. When Caltech's Mike Brown first proposed that a hidden, massive planet lurks in the outer reaches of our solar system, he was confident someone would prove him wrong. 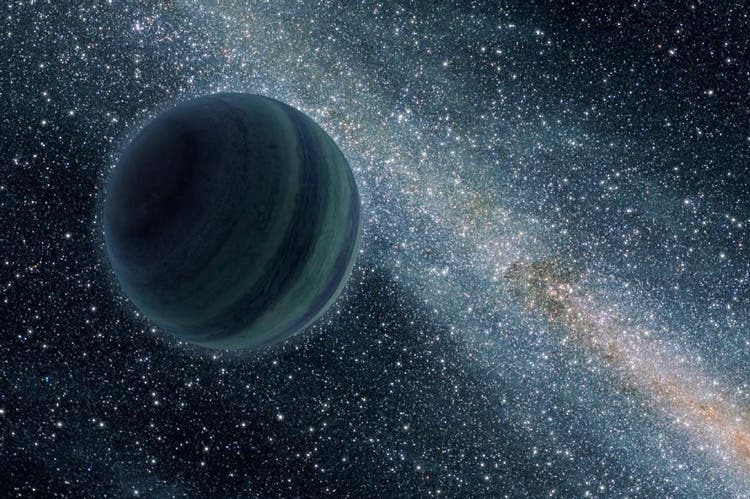 “Planet Nine,” as the hypothetical world was nicknamed, was his explanation for the strange movements of half a dozen distant, icy planetoids that are farther away and smaller than Pluto: In theory, this huge, somehow-undiscovered planet could sway their orbits. But surely astronomers would be quick to find a more obvious explanation. David Bentley Hart’s text recaptures the awkward, multivoiced power of the original. In the beginning was … well, what? 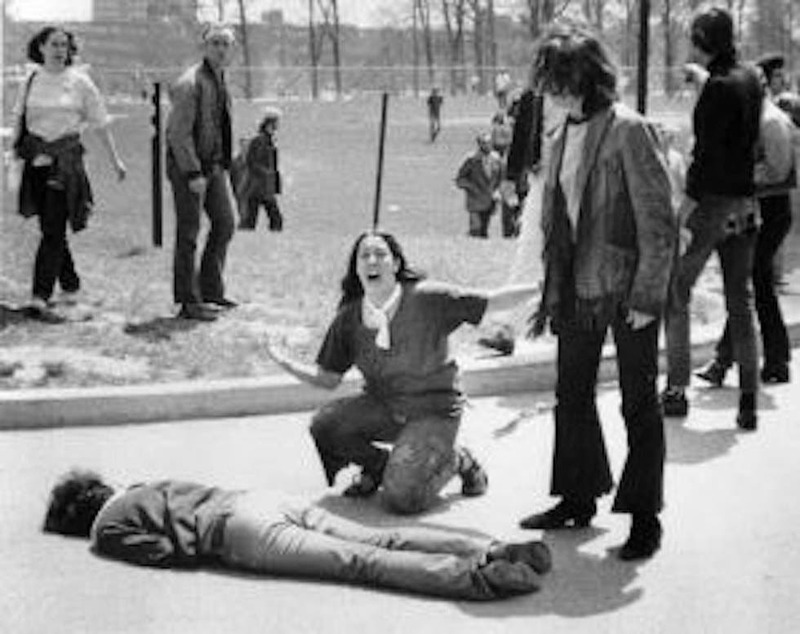 A clap of the divine hands and a poetic shock wave? Or an itchy node of nothingness inconceivably scratching itself into somethingness? In the beginning was the Word, says the Gospel according to John—a lovely statement of the case, as it’s always seemed to me. A pre-temporal syllable swelling to utterance in the mouth of the universe, spoken once and heard forever: God’s power chord, if you like. For David Bentley Hart, however, whose mind-bending translation of the New Testament was published in October, the Word—as a word—does not suffice: He finds it to be “a curiously bland and impenetrable designation” for the heady concept expressed in the original Greek of the Gospels as Logos. In 2011, IBM stole the artificial intelligence show when Watson, a talking cognitive computer, won Jeopardy! By feeding the computer millions of pages of unstructured data — that is to say, no numbers or values neatly organized in spreadsheets — the company “taught” Watson everything he needed to thoroughly whack human Jeopardy! champion Ken Jennings. For the first time ever, a computer with some sense of understanding of the world was not only on display, it was on television. It’s as though we are sitting on the precipice of a time when it will become easy — perhaps even boring — to speak to your computer as you might speak to a coworker, and to have that speech turned into useful action. 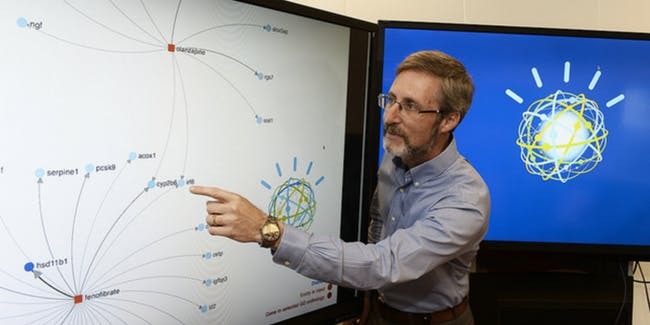 This is not yet so common at present, but listen up: you can kinda-sorta talk to Watson today. Lawmakers pass regulations to cut down on delivery robots as pedestrians tire of sharing sidewalks with ‘aggressively entrepreneurial wet dreams’. 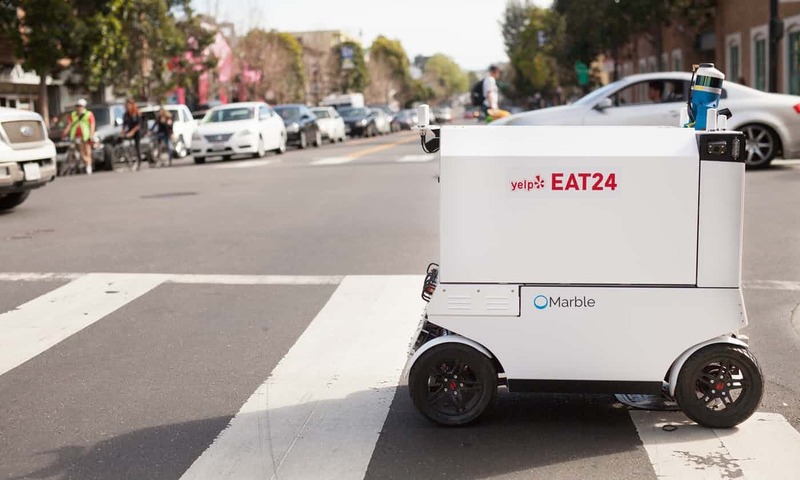 In something of a reversal for San Francisco, a city that has served as a petri dish for disruptive innovations in recent years, lawmakers this week passed strict regulations to reduce the number of delivery robots that technology startups have introduced to the city’s sidewalks. 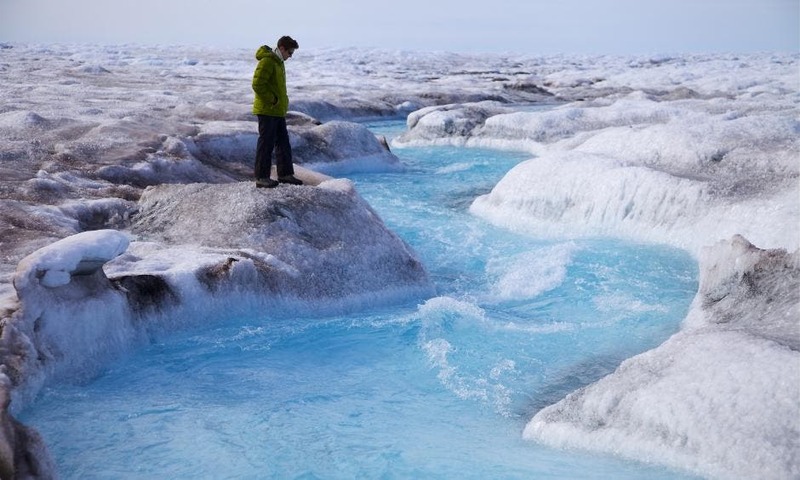 NASA's Oceans Melting Greenland (OMG) mission warns the ice sheet is more at risk to global warming than we knew. It’s been unusually warm in the United States in recent days, with records being set across the country. But it’s been scorching in Greenland, with temperatures as much as 54° above normal, which means above freezing in many places. 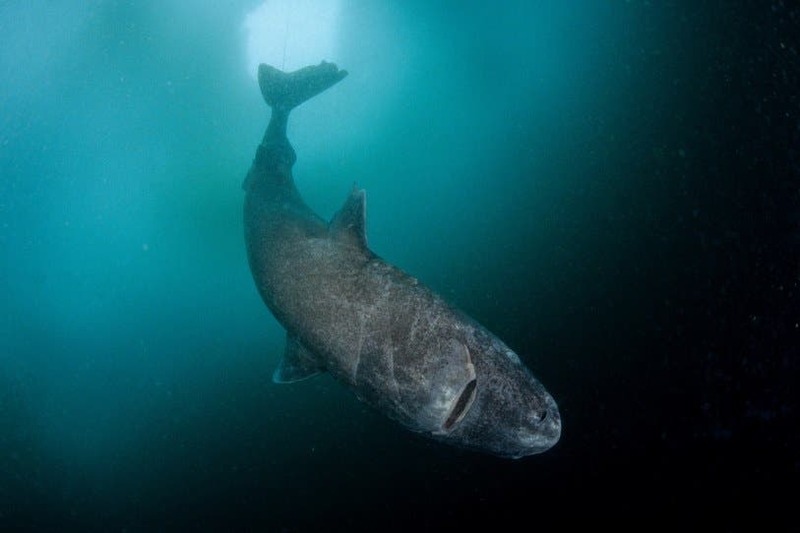 The Strange and Gruesome Story of the Greenland Shark, the Longest-Living Vertebrate on Earth –"More than 500 Years Old"
Using carbon dating and a new method involving proteins in the lens of the eye, Danish scientists have unraveled the mystery of how long Greenland sharks live. And yet the species has an undeniable magnetism. It is among the world’s largest predatory sharks, growing up to eighteen feet in length, but also among its most elusive. Its life history is a black box, one that researchers have spent decades trying in vain to peer inside. Where do Greenland sharks mate? What is their global range and population structure? And, most enticing of all, how long do they live? A study begun in the nineteen-thirties suggested that the species’s lifespan might well be extraordinary, based on the slow growth rate of a single shark that a scientist was lucky enough to catch twice. Verifying this, however, proved nearly impossible. To determine age in other sharks, biologists count the growth rings on their fin spines and vertebrae. But Greenland sharks have no hard tissues in their bodies; even their vertebrae are soft. The longevity question seemed unanswerable. Scientists have detected an enormous mass of warm rock rising up beneath part of New England that could one day spark a volcanic eruption, according to a new study. 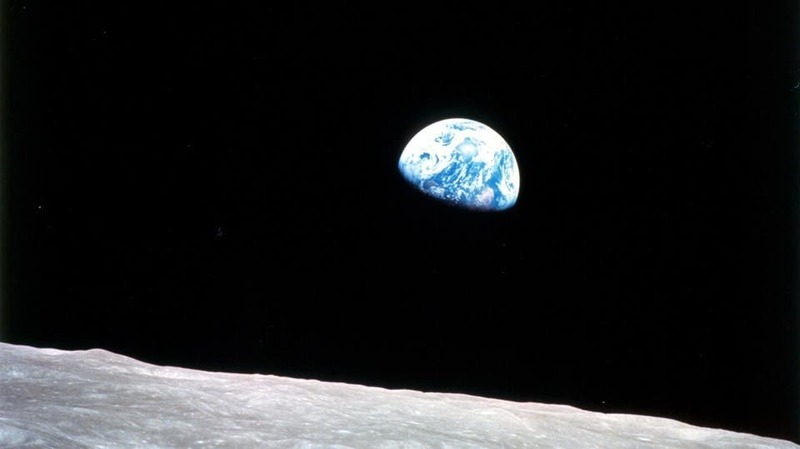 But don't worry too much: We are millions of years away from such an event, said Vadim Levin, the study’s lead author and a geophysicist and professor in the Department of Earth and Planetary Sciences at Rutgers University. Scientists from Yale and Rutgers University looked at data from the National Science Foundation’s EarthScope program, which has placed thousands of seismic measurement devices across North America. 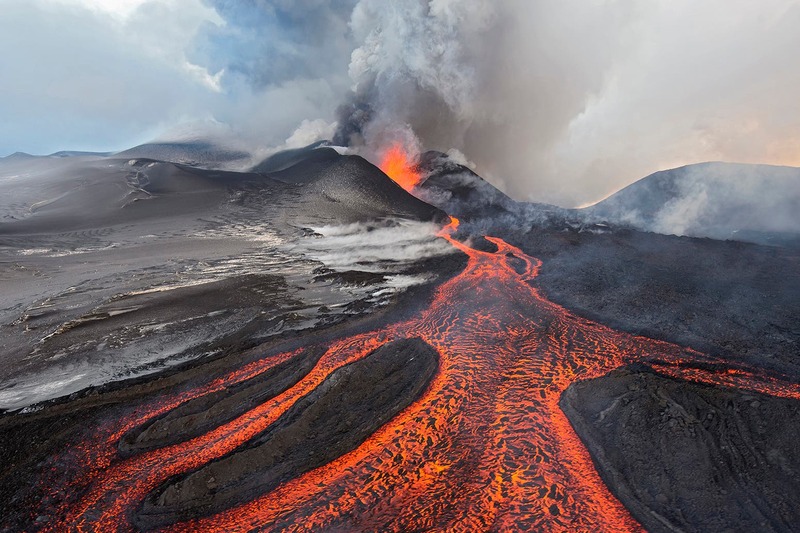 They hoped to learn more about the continent’s structure and evolution, as well as the processes that cause earthquakes and volcanic eruptions. The Atlantic margin of the North American continent, which covers the entire eastern seaboard, has always been considered a so-called passive margin, meaning no major geologic activity is thought to happen there. But after looking at the EarthScope data, Levin and his team found a surprise. "We found that this warm thing was moving up," he said.